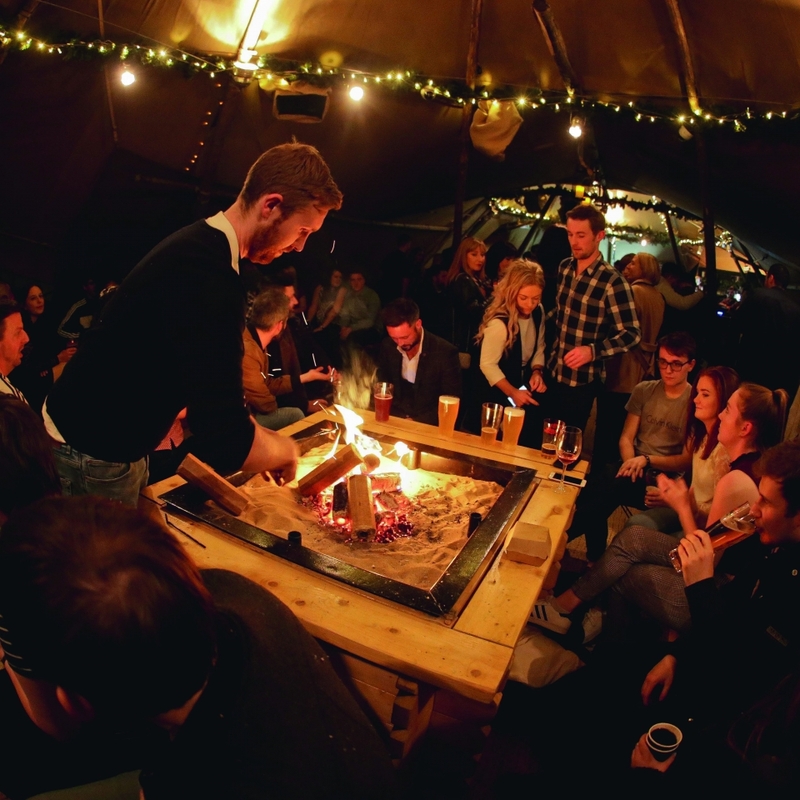 Tipis are popping up all over the place, with central Brighton being no exception. 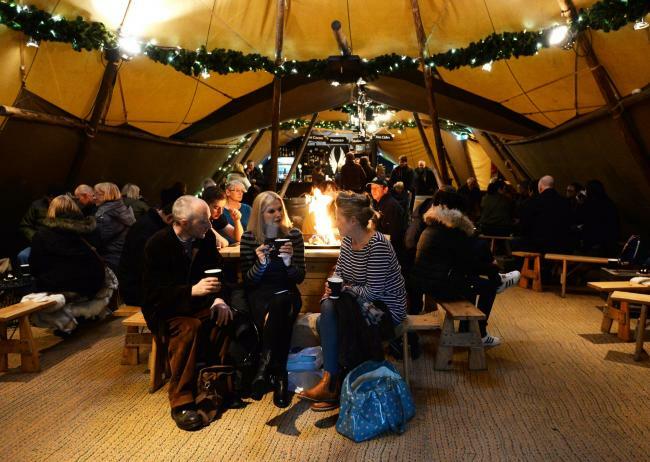 This Christmas you can enjoy a festive bevvie in a toasty tipi, so why not consider a canvas construction for your wedding, birthday or special event in the darker months? 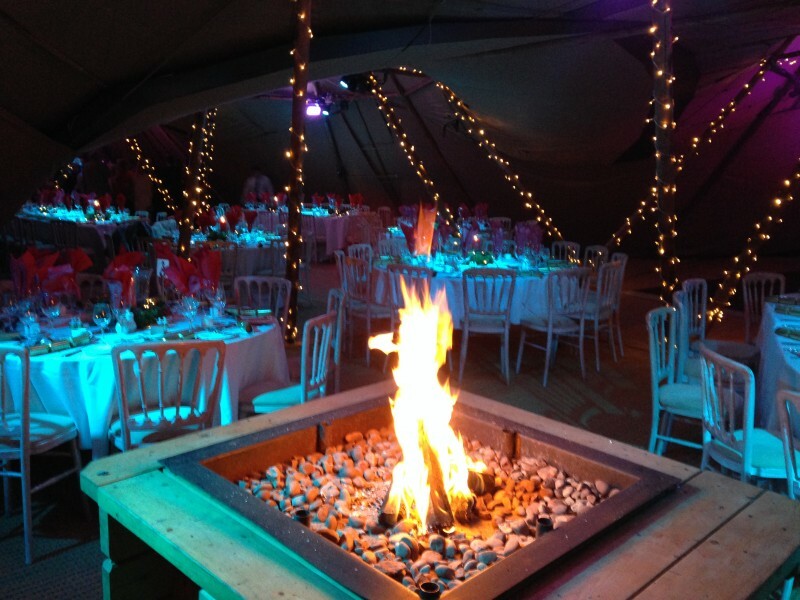 A single tipi which holds up to 65 seated is a perfectly cosy backdrop for any event, and you can even have an indoor fireplace with smokeless fumes to keep your guests chill free. Children and big kids love the idea of toasting marshmallows on a real fire, whilst supping a mulled wine (or a softie), and our range of indoor lighting adds to the ambient effect. Join two (or more tipis) together and you can have a dancefloor/cinema screen/stage or just more guests, and you will be sure to stay snug whatever the weather is doing outside. Think of them like a house extension, but a million times cooler! With a choice of traditional long tables or classic round ones, your guests can cosy up with sheepskin throws, and enjoy the ambience of your inside outside party, even if the weather is rubbish in the real world! 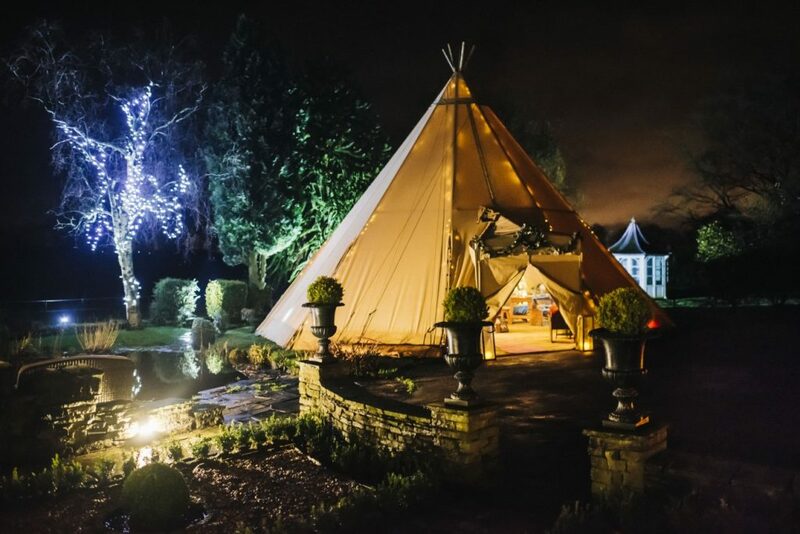 Book a tipi and escape to your own magical world, which you can decorate in any way you please. Lending themselves to themed events, they provide ample photo opportunities. In fact, every event is unique experience, and we can guarantee that you won’t ever forget it. Our tipis have made a very memorable appearance at Cambridge University ball, BBC’s Springwatch, Dress to Impress and The Undateables! 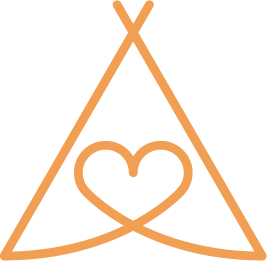 So you can rest assured that you are in good company if you choose a Love Tipis tipi. Call us now to see our availability for 2019 on 01273 689891.